The 5 on 5.5 bolt pattern fits all 1966 to 1996 Ford Broncos. Also fits Ford 1/2 Ton Trucks with this bolt pattern. Please note the backspacing is 4.5". This will help you decide if your application will require wheel spacers at all. FREE Ground shipping to the contiguous 48 states. International shipping and shipping to AK & HI will be quoted after checkout. 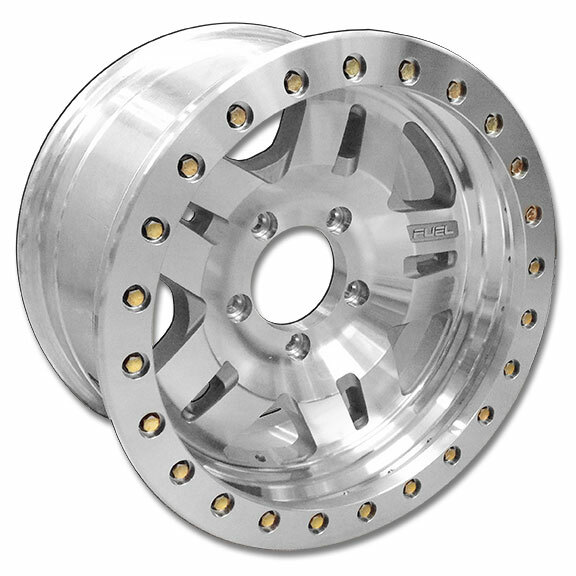 Now Available from TBP, the Fuel ANZA Beadlock Wheels are great for your trail dominating early Bronco! These are true beadlock wheels. The beadlock wheel has a separate outer ring that bolts down over the tire lip to lock the tire onto the wheel. 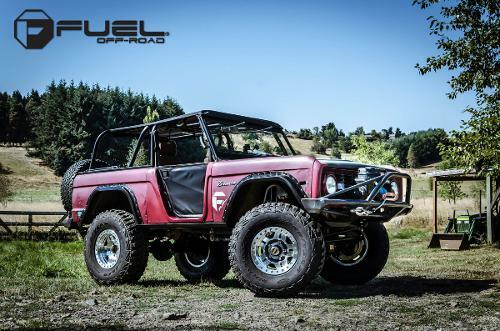 The advantage of this is to allow you to run extremely low tire pressure when rock crawling without being concerned that the tire might come off the wheel. These Fuel ANZA Beadlocks are 17" x 9" wheels and have 4.5" backspacing. 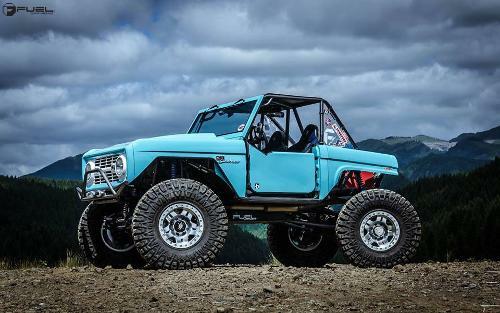 Please check the backspacing requirement for your Bronco as you may need to run wheel spacers for your application. NOTE: Beadlock wheels are NOT maintenance free. You will need to torque the beadlocks after the first 100 miles and then re-torque them every 250 miles. Again, beadlock wheels are for OFF-ROAD use only.